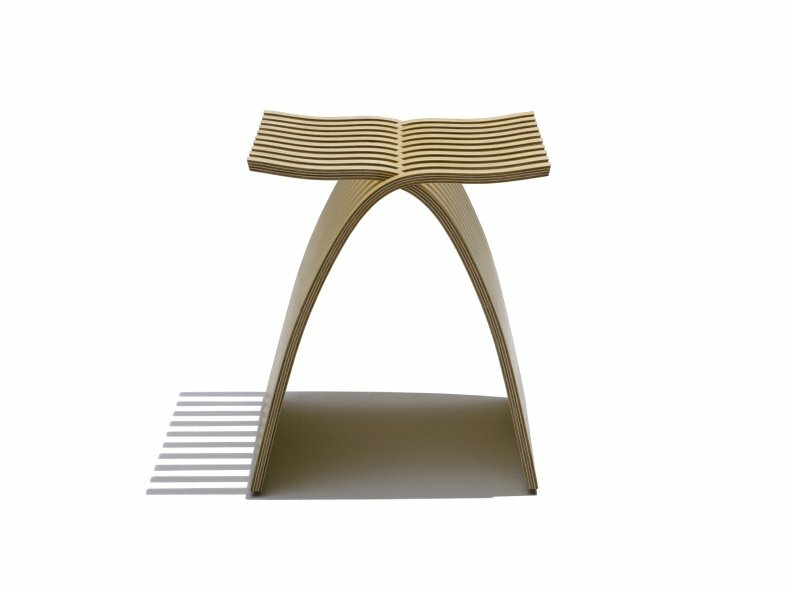 Pondering her new project - build a better stool -- designer Carol Catalano noticed her own entwined fingers and had her answer. 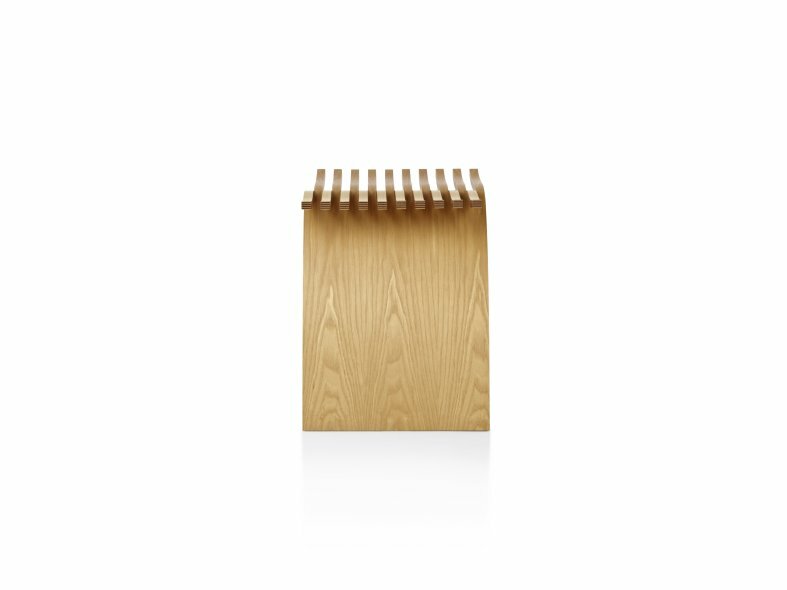 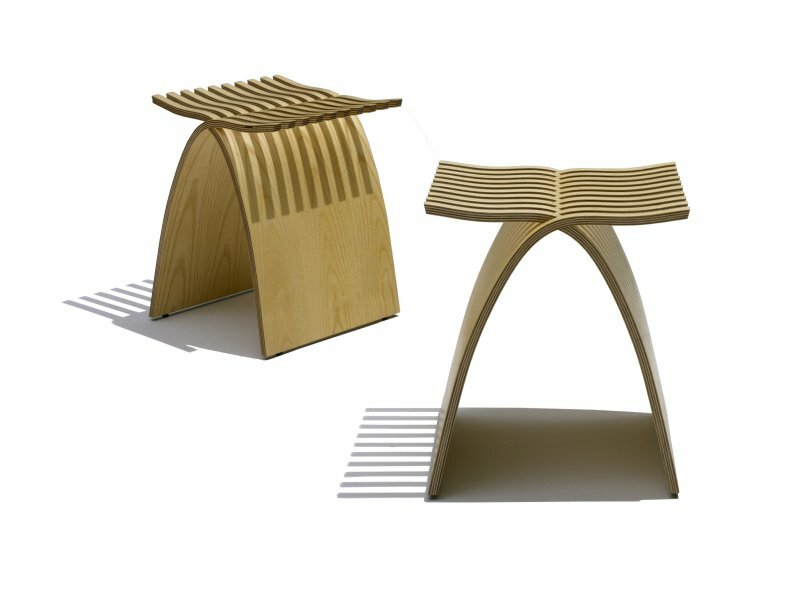 The Capelli stool is two identical plywood pieces, each with undulating "fingers" at the top that interlock without tools or fasteners. 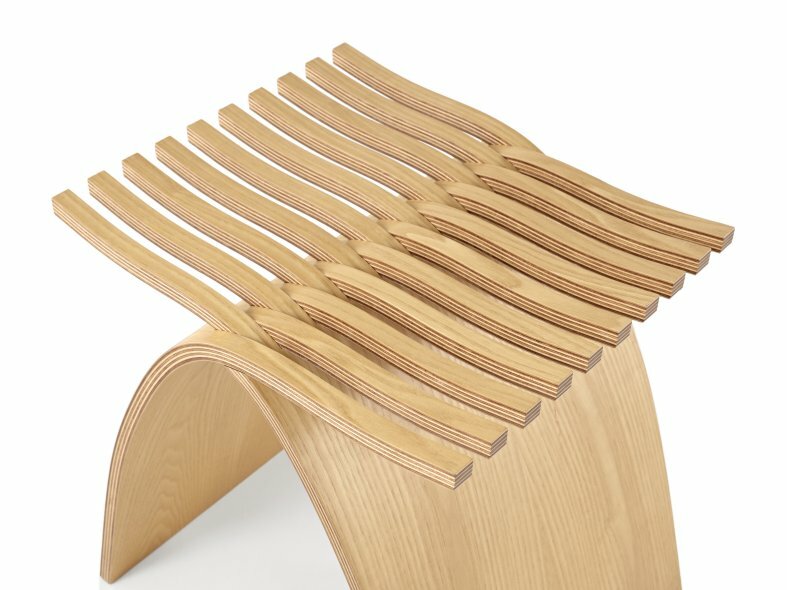 It's an ingeniously stable and graceful structure that's pleasant to sit on and simply beautiful to look at.